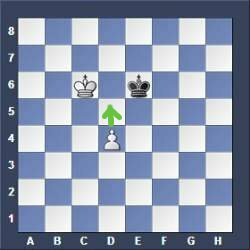 The Pawn and King Endgame irritated me a lot...please give a solution. You are right. 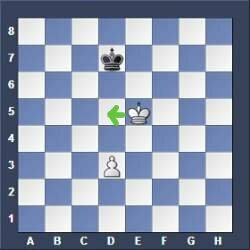 It is not easy to understand this endgame as a beginner in chess. I will explain it straightforward in simple words now and I am sure you will understand it quickly. 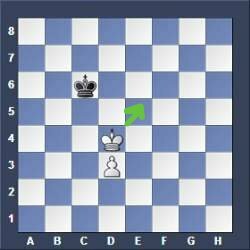 Just get this position below as White and make sure it is not your move. That's it! If you (White) must move it is a draw. This position below ends in a STALEMATE, which is a draw. Look at the following chess positions to learn what to move next as White. 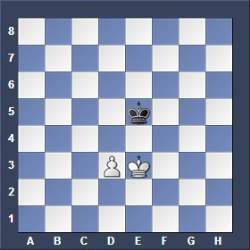 After this Black must move away from the OPPOSITION and you move your king SIDEWAYS and win! This makes room for the pawn to move ahead. So after 1. d4?? Black plays 1...Ke7 and gets OPPOSITiON, and then you must move your king away from the opposition and Black keeps moving into OPPOSITION all the time endlessly. Remember! 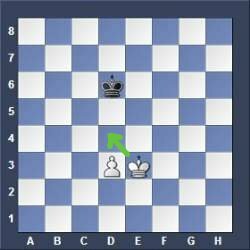 In this case you can't push the pawn because then the pawn would be BESIDE the king which is a draw (position ends in a stalemate). If you move away from the OPPOSITION then Black keeps moving into OPPOSITION endlessly. This brings nothing. Example: 1. Kc5 Kc7 2.Kd5 Kd7 2.Ke5 Ke7 etc. After 1.d4! the black king must move away from the OPPOSITION as Black must make a legal move and after that you win moving your king SIDEWAYS. 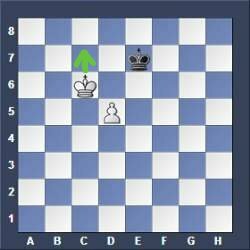 White gains control over the promotion square d8 and then pushes his pawn ahead. If you have an Edge pawn on the a or h-file you can't win. White plays 1. 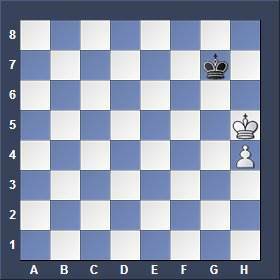 Kg5 and gets the OPPOSITION, but the game will still be a draw because the king can't move sideways on the edge.